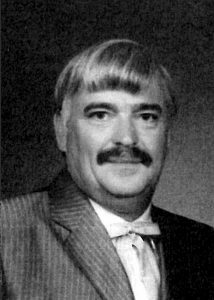 Michael Allen Dickinson, 69, of Charlotte, died September 21, 2018. He was born August 15, 1949. Mike was a handyman. He worked construction most of his life. He could fix anything, and he did a great job doing it. He was always full of smiles that would brighten your day, and would do anything for anybody. He loved to hunt and walk the woods. He could also tell you some pretty good hunting stories. Mike will be missed by many. He was preceded in death by his parents, Fredric and Ethal Dickinson. He is survived by four brothers and one sister, Bob (Barb) Dickinson, Carol (Terry) Piddington, Pat (Linda) Dickinson, Ken (Susan) Dickinson, and Stuart (Denice) Dickinson. Mike married the love of his life, Jayne on August 25, 2012. He loved his kids and grandkids with all his heart. He is survived by children, Jason (Jill) Dickinson, Heath (Marcie) Dickinson; stepdaughter, Ashley (Jake) Wright; grandchildren, Victoria Dickinson, Brendan Dickinson, Reed Dickinson, Maverick Dickinson, Miken Dickenson, and Phoenix Wright. There will be a celebration of life for Mike on October 13, 2018 at his home, 3618 N. Clinton Trail in Charlotte, from 1 to 6 p.m.
Helen Lucille Moore, 96, of Charlotte, passed away Thursday, September 27, 2018, at home with her family by her side. She was born March 13, 1922, in Charlotte, the daughter of Rex and Ruth (Bingham) Bottomley. On February 5, 1949, she married Leslie George Moore at the Congregational Church in Charlotte. Lucille was a devoted wife, mother, grandmother, and great grandmother. Painting was one of Lucille’s favorite pastimes. She created many beautiful works of art throughout the years. Lucille also enjoyed knitting, sewing, and crocheting. She also loved her many different puppies. Lucille is survived by her daughter, Patricia A. Driksna of Charlotte; grandchildren, Matthew (Kristen) Driksna, Dana (Kirk) Driksna-Rickerd; great-grandchildren, Kimberly, Ella, Lizzie, Brendan, Kathryn, Sean; and several nieces and nephews. She was preceded in death by her parents; husband, Leslie G. Moore; grandsons, Christopher Hiar, Michael Hiar, Sean Driksna; brothers: Carlton “Sparky” Bottomley, Thomas “Tom” Bottomley, Harold “Red” Bottomley; sister, Louise E. Brown. Funeral services were held Monday, October 1, 2018 at Burkhead-Green-Kilgo Funeral Home, with Pastor Duane Royston officiating. Interment followed at Bosworth Cemetery in Olivet. The family will receive friends on Sunday, September 30, 2018, from 4 to 6 p.m. at the funeral home. Those desiring may make contributions to the New Faith Church of the Nazarene, 302 E. Lovett St., Charlotte, MI 48813. 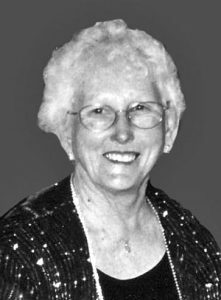 To view Lucille’s obituary online or to leave a condolence for the family please visit burkhead-greenfuneralhome.com. 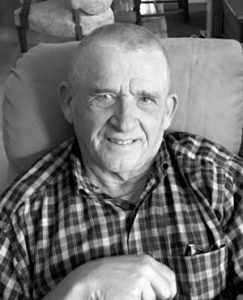 John Charles Thorndyke, 68, of Marshall, passed away Monday, September 17, 2018, at his home with his family by his side. He was born January 4, 1950, in Battle Creek, the son of Virgil and Joan (DeVine) Thorndyke. On June 16, 1967, John married the love of his life, Katheryn “Kay” Mahan. John retired after many years of service as a heavy equipment operator from Operating Engineers Local 324. He enjoyed spending time with his family and friends. He loved fishing and hunting, but most of all, he cherished flying his ultra-lite airplane. It brought him great joy to be soaring above the area and taking pictures of the magnificent scenery. John enjoyed dropping candy from his plane to children at the Olivet Fireman’s Festival and many other events. Throughout the years many local farmers have had John document the location of drainage tile with pictures of their fields from his plane. John is survived by his wife of 51 years, Kay; children, Julie (Tom) Harmon of Olivet, Nancy Thorndyke-Reed of Olivet, William “Bill” (Stacy) Thorndyke of Olivet; grandchildren, Zachary Reed of Chicago, Samantha Reed of Chicago, Kaylee Harmon of Olivet, Joshua Harmon of Olivet; special dog, Sophie; siblings, JoAnn (Gary) Chapman of North Carolina, James (Donna) Thorndyke of Tennessee, Jay (Jean) Thorndyke of Bellevue, Jaci Thorndyke of Battle Creek, Jill Jacox of Battle Creek, Jed (Sonia) Thorndyke of Olivet; many nieces and nephews; and very special friends, Bob Parker, Josh Stults, Leo Rice, Jim Swan and Mack Lipe. A memorial service will be held on Saturday, October 13, 2018, at 11 a.m. at Burkhead-Green-Kilgo Funeral Home, with pastors Steve Byrens and Scott Brood officiating. The family received friends on Friday, October 12, 2018, from 5 to 8 p.m. at the funeral home. Those desiring, may make contributions in John’s memory to the Olivet Fire Department, City On A Hill Community Church, or Oaklawn Hospice. To view John’s obituary online or to leave a condolence for the family please visit burkhead-greenfuneralhome.com. Stacy “Tracy” Lee (Yoder) Christenson, a loving wife, mother, daughter and friend, died Sunday, September 30, 2018. 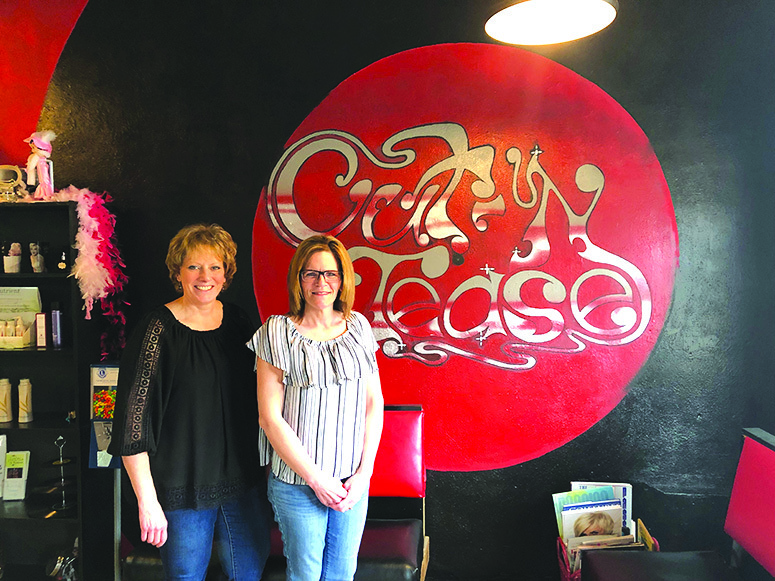 Stacy, 43, was born November 4, 1974, in Grayling, to Eric and Marcia (Woodbury) Yoder. She married her sweetheart, Kevin Christenson, on October 9, 2010, and she was a loving stay at home mom. Being the life of the party was no problem for Stacy, she was the first person to start talking with others at events. Very straight forward and not afraid to speak her mind, friends would always ask Stacy for advice knowing they would get an honest answer. 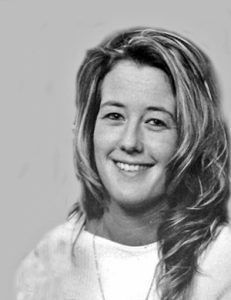 The biggest passion in life for Stacy was her family, and she especially loved weekend getaways to the family cabin. Other hobbies she enjoyed included photography, crafts and listening to music. Stacy is survived by her loving husband, Kevin; children, Dillon (Grace) Kelley, Brendan Kelley, and Kamden Christenson; mother, Marci (Roger) Workman; siblings, Wayne (Diane) Hoeve, Jamey Hoeve, and Tracy Brown; father and mother in-law, Larry and Barbara Christenson; brother in-law, Adam (Elysse) Christenson; sister in-law, Lisa (Jeff) Haight; special friends, Travis Kelley, Dawn, Sherry, Mindy, and Reneè; and several aunts, uncles, nieces and nephews. Stacy was predeceased by father, Eric Yoder; and her grandparents. Friends are encouraged to support Stacy’s family at visitation and memorial services at Pray Funeral Home in Charlotte. Memorial services are Saturday, October 6, 2018 at 9:30 a.m., with Jameson Hoeve officiating. Visitation was Friday, October 5, 2018, from 3 to 5 and 7 to 9 p.m. If desired, memorial contributions to the family to assist with final expenses. Friends and family are encouraged to share memories of Stacy on her tribute page at PrayFuneral.com. Darwyn Eldeen Jones, 76, of Charlotte, passed away on October 3, 2018 in Charlotte. He was born on August 31, 1942 to Eldeen and Norma (Bodell) Jones in Lansing. He graduated from Charlotte High School, followed by employment with GM for 32 years as a repairman. He was a Union Representative and was very honored to be an active contributor for his fellow workers rights. Darwyn was a loving husband, wonderful father and grandfather, and great friend to many. 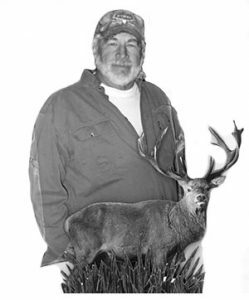 Farming was his life and he was a sportsman for life. 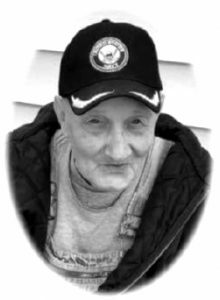 He enjoyed fishing, and deer hunting in the U.P., raising beef cattle, and gardening with his green thumb. He was a 4H leader and a natural teacher for those who wanted to learn about the farming life. A snowbird in the winter, and active wherever they were, Darwyn and Judy were a fun couple to keep up with. Darwyn is survived by his wife, Judy; sons, Tim (Heidi) Jones, Travis (Kelly) Jones; daughter, Tina (Tim) Burkholder; grandchildren, Ashtin (Allan Wardell) Truax, Tyler Burkholder, Casey Jones, Clayton Jones, Caroline Jones; great-grandchildren, Willow and Oakley Wardell; sisters, Beverly (Keith) Wells, Sharon King; Jean Klaiss, Jackie Robinson, Merideth Potter; honorary brother, Terry (Mary Ellen) Ward. He was preceded in death by his parents; son, Todd E. Jones, in-laws, Jack King, Donald Klaiss, Linda and James Davis. Friends are encouraged to support Darwyn’s family at the visitation on Sunday, October 7, from 2 to 5 p.m., and the funeral service will be held on Monday, October 8 at 11 a.m., at Pray Funeral Home in Charlotte, with Greg Rinehart officiating. If desired, the family suggests memorial contributions to MSU Pediatric Oncology Clinic. Memories and condolences will be appreciated online on Darwyn’s tribute page at prayfuneral.com. Fred Edward Lauback, 81, of Charlotte, passed away Monday, September 24, 2018, at his home. There will be a celebration of his life at a later date. Fred was born in Owosso January 30, 1937, the son of Fred and Alice (Aymor) Lauback. Fred married Lavonne M. Sexton on June 21, 1982, in Manistique. Fred proudly served his country in the United States Navy. He retired as a wood cutter in the forestry industry and he also worked for Block Plant in Midland. He was a farmer for most of his life. Fred enjoyed fishing, spending the summers camping, playing cards and dice with family and friends. He also enjoyed watching ball games. He resided the last 15 years in Charlotte. He is survived by his wife Lavonne M. Lauback; children, Scott and Missy Thompson, Lacie Latimore, Fred and Dana Lauback, Alan and Robin Lauback, Daniel and Ramona Lauback, Ross Lauback; brothers, Jack and Leona Lauback, David and Cathy Lauback, sister Lucille Schneider; and brother-in-law, Thomas and Carley Sexton. He is also survived by many grandchildren and great-grandchildren. Online condolences can be sent to smithfamilyfuneralhomes.com. The family is being served by Smith Family Funeral Homes – Osgood Chapel in St. Johns. 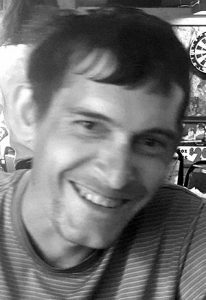 Cody Charles Wickens, a very loving person with a large heart for others, died unexpectedly September 24, 2018. Cody, 34, was born January 29, 1984 in Charlotte to Loreen (Griffin) and David Wickens. As he grew up, everyone knew Cody as a very strong-willed and relentless young man when he found something he wanted to do. 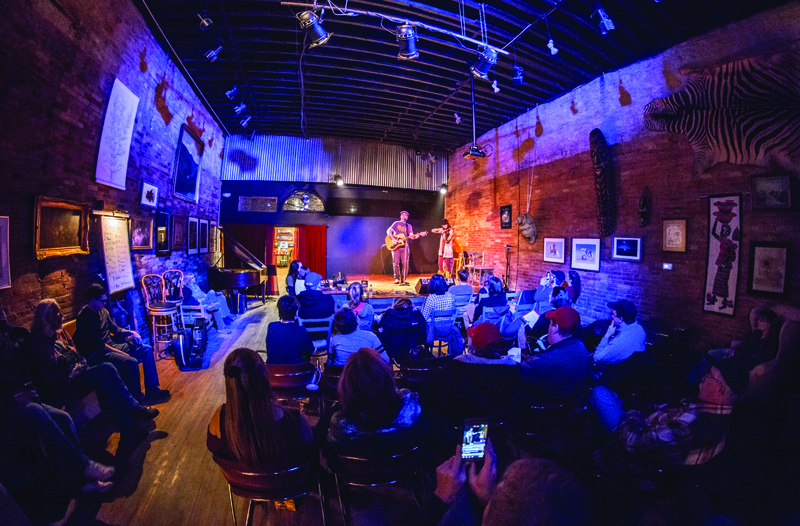 Cody proved despite any limitations others thought he had, that he could persevere on many levels. He enjoyed glass etching (which he developed into a craft business), woodworking, fishing, hunting, and had a fond curiosity about airplanes and electrical systems. Generous and caring, he was a good uncle and son, and lived a life looking for ways to be giving. He loved his family, and his service dog, Shadow. Cody is survived by his mother, Loreen Wickens (Daryl Brodbeck); father, David (Vicki) Wickens; sister, Mandy (Matthew) Grosshans; niece, Faith Wickens; nephews, Austin Wickens and Gavin Grosshans; uncles, Blake (Jane) Griffin, Lynn Griffin, and Loren (Debra) Griffin; aunts, Belinda (James) Gould, Brenda (AC) Griffin-Bradley, Linda Whipple, and Peggy (Jeff) Mariucci; and many cousins. He was predeceased by step-brother, Curtis Harris; grandparents, Thais Griffin, Dexter Griffin, Ronald and Nancy Wickens; and aunt, Debra Delong. Funeral services were held Friday, September 28, at 2 p.m., with Pastor Rocky Spear officiating. Visitation was held two hours prior to the service on Friday, September 28, from noon to 2 p.m. If desired, the family suggests memorial contributions to Epilepsy Discovery Fund at The University of Michigan. Friends and family are encouraged to share memories of Cody on his tribute page at PrayFuneral.com. 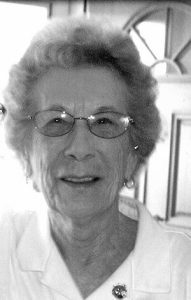 Patricia “Pat” Ann Prescott, 85, of Vermontville, loving wife, mother, and grandmother passed on September 24, 2018. Pat was born February 24, 1933 to Lester and Lena Lynd in Charlotte. She married the love of her life, Cleo Prescott, on April 9, 1954. In her younger years, Pat worked at The Charlotte Shopping Guide, Maple Valley Community Education, Aluminum Extrusions, and Farm Bureau. Later during retirement, Pat and Cleo owned and operated their own ceramic shop in Vermontville, where she made exquisite ceramic pieces and also taught ceramic classes to the public for many years. She enjoyed many hobbies, including ceramics, crocheting, quilting, cooking, gardening, camping and yard work, to name a few. Pat spoke directly and to the point, she was extremely talented and capable. She was preceded in death by her husband, Cleo Frederick Prescott; sisters, Dorothy Hopkins and Margaret Winans; brothers, Robert Lynd and Tom Winans; and her parents Lester and Lena Lynd. Friends are encouraged to support Pat’s family at visitation and memorial services are on Saturday, September 29, from 10 to 11 a.m. for visitation with a Memorial Service at 11 a.m. at Pray Funeral Home in Charlotte. Friends and family are encouraged to share memories of Pat on her tribute page at PrayFuneral.com. 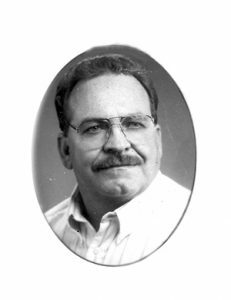 Robert Lester Senko, a “phenomenal” and loving husband, father, brother and friend, passed away peacefully on Sunday, September 9, 2018. Robert, 68, was born on the Fourth of July in Brown City, Mich., the son of Francis and Betty (Bates) Senko. Trained as an Army surveyor, he carried those career skills into civilian life. He qualified as an expert rifle marksman. He was a member of the Boulder City Elks #1682, an Honorary member of the Boulder City Does #34, a member of American Legion China Post #1, Nellis Radio Amateur Club and Las Vegas Radio Amateur Club. He was a long-time member of GWRRA NV-A Vegas Wings Motorcycle Club and served as Chapter and Nevada District Treasurer for many years. He volunteered countless hours of support for annual charitable events, including the Baker to Vegas Law Enforcement Relay Races, MS Society Bike Runs, Diabetes Foundation bicycle runs, Las Vegas Corporate Challenge, and for the Boulder City Chamber of Commerce. He received awards for “Volunteer of the Year” from, the Baker to Vegas Relay (2006 and 2013), the Nevada MS Society (2007), and the Boulder City Chamber of Commerce (2010-2011). Robert is survived by Denise (Feldpausch), his wife of 36 years; children, Randy (Chasity) Senko, Trevor Senko and Mindy Senko; grandchildren, Lucas, Ashley and Bryce, brother Gary Senko, and numerous extended family members. A funeral service was held Sunday, September 23, 2018, at Palm Memorial Park in Henderson, Nev. A memorial service will also be held at noon, on Saturday, October 6, 2018, at the Believers Church Administration Building, 15200 S. Wright Road in Grand Ledge. A celebration of life gathering will be held immediately following the service at the same location. Memorial contributions may be made to the Boulder City Chamber of Commerce Scholarship Fund.